Contemporary bath light with matching wall plate and hardware. The vanity bar can be mounted up or down to suit your personal style. The fixture is finished in polished chrome which matches most home styles. A centerpiece for the home, this bathroom light fixture features captured rings of crystals imparts a luminous silhouette redefining luxury in lighting. This is a statement maker with endurance to last. Made with solid steel construction to look great and last for years to come. 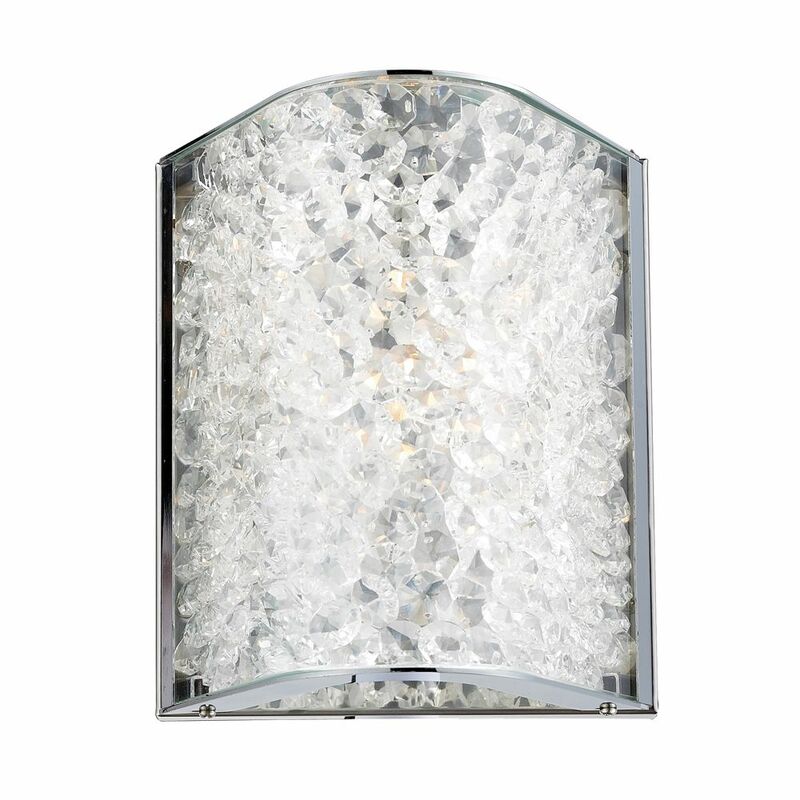 1- Light Wall Mount Polished Chrome Bath Bar This bar vanity light features encased crystals. Finished in beautiful polished chrome. A unique design to fit any dicor.